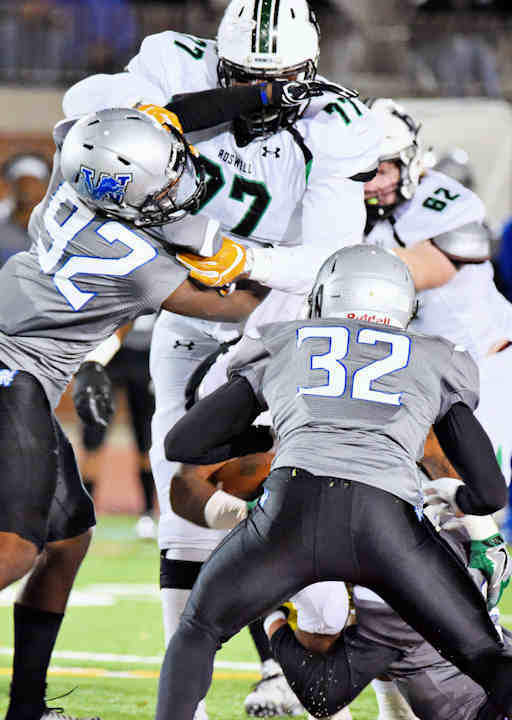 ATLANTA–A convincing shutout win over Westlake High School on Friday put the Roswell Hornets in the Georgia Dome to compete for the state championship for the second season in a row. 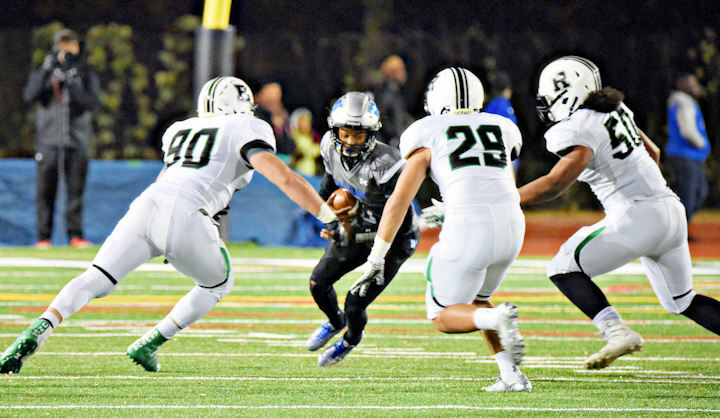 Last week’s semi-final game marked the third time this season that the defense has kept an opponent scoreless. On offense, the Hornets kept up a consistent effort, with a single touchdown scored in each quarter. 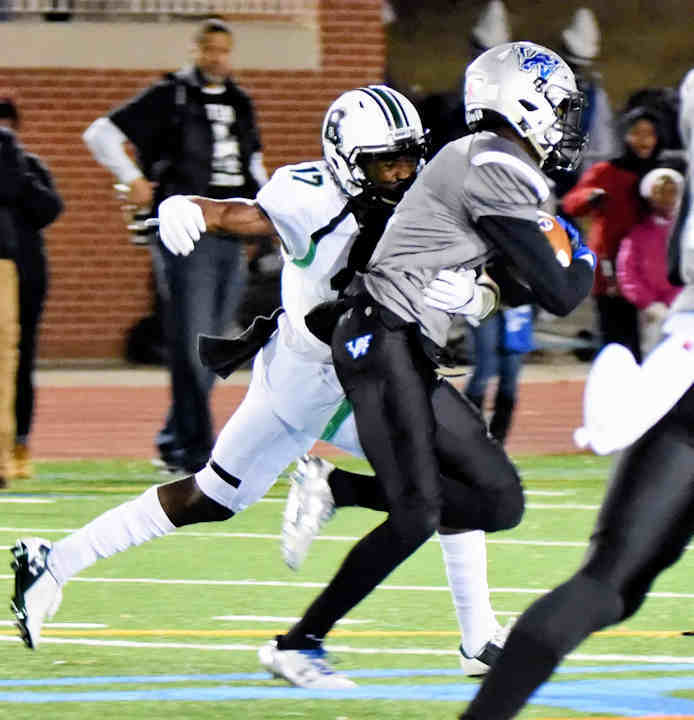 The early game saw these two teams deadlocked in a defensive battle until late in the first period, when Westlake caught a lucky break and recovered its own punt at the Roswell 26-yard line. Four plays later however, an interception by Sam DiRoberto just shy of the goal line dashed the Lions’ hopes of capitalizing on the Roswell mistake. After taking possession at the 18-yard line, Jayden Comma, Sheldon Evans, and Malik Willis engineered an 82-yard scoring drive down the field, with Willis running it into the endzone from six yards out for a 7-0 lead. Westlake’s second chance at a score came in the next quarter. After a penalty and a couple of backfield tackles by Max Boyd and Justin Ellis pushed the team back dozens of yards from the first-down marker, the Lions picked up 30 yards in their biggest play of the night to put the team within three yards of a fourth down conversion. 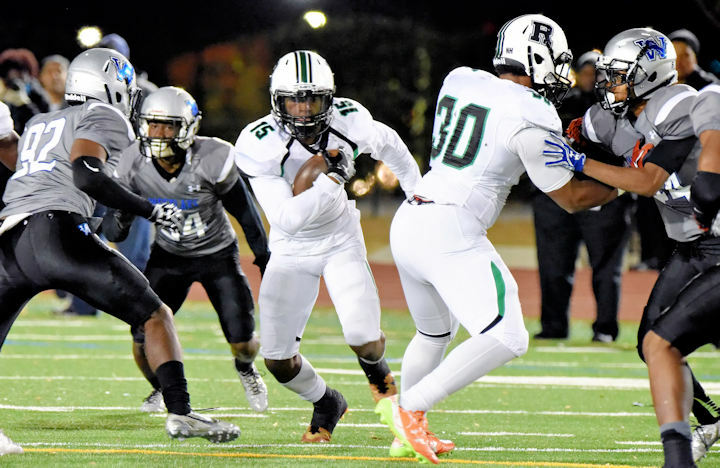 As has been the case throughout the season however, Roswell made another defensive statement at a critical moment by forcing a turnover on downs and extinguishing Westlake’s momentum. Now on offense, the Hornets took to the air, with a pair of receptions to Kentrell Barber for a total of 19 yards, and a beautiful 33-yard catch courtesy of Christian Ford. Evans capped the drive with a quick three-yard trip to the endzone for Roswell’s second touchdown of the evening. In the third quarter, Willis and Comma connected on a 46-yard pass play to pick up another touchdown and extend the Hornet lead to 21-0. 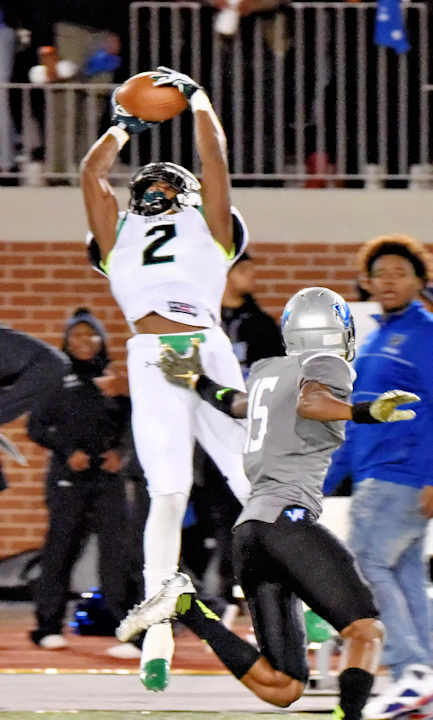 Xavier McKinney led defensive efforts with a pair of interceptions in the last minutes of the quarter, but Roswell was unable to convert either into a scoring drive. The Hornets ran into trouble in their last offensive series of the quarter, when the Lions picked up a fumble near their own endzone and raced the other way. 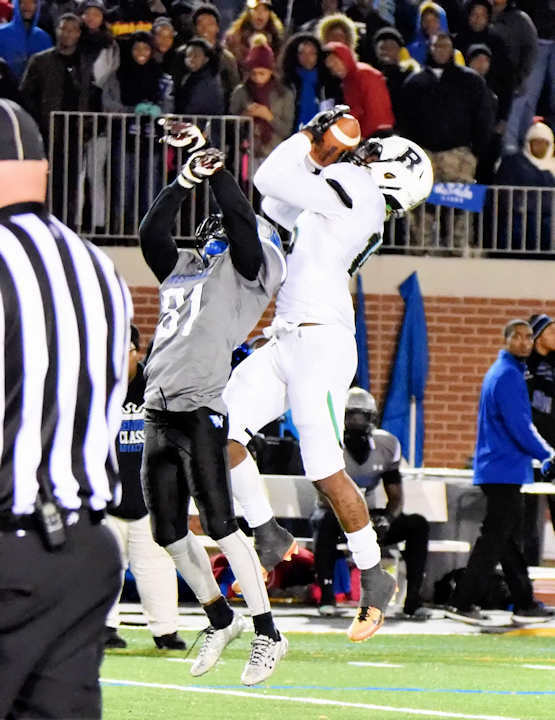 Before the defender could cross the goal line however, Christian Ford caught up to him and made a touchdown-saving tackle at the Roswell five-yard line. The Hornet defense once again rose up, and stuffed the Lion offense for zero yards on the next three plays. A fourth-down field goal attempt was then blocked to keep Westlake off the board. 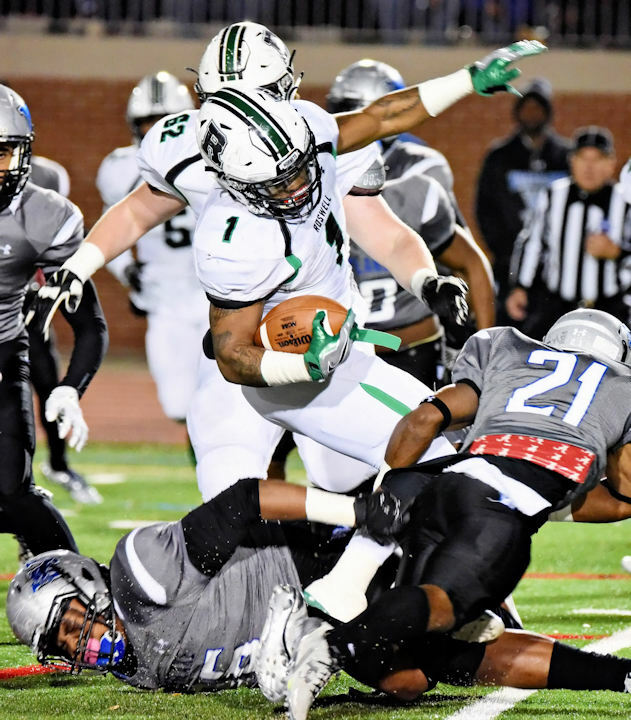 After taking over on offense in their next series, Roswell put together a long and steady drive to the endzone, featuring a 22-yard run from Willis, a 19-yard reception by Barber, and a scoring 11-yard catch by Tyneil Hopper. Westlake had one more chance to score before the game would end, but an interception by Cade Gonzales with about 5 minutes left effectively ensured a shutout victory for Roswell. The Hornets are set to take on Grayson High School on Saturday at 8pm. The Loganville school, like Roswell, is considered to have one of the best high school football programs in the country.